Monday’s video comes from the beautiful environs just outside the Greyhound terminal in Albany, New York. You know who’s smithing his way to victory? Adam Elkana-Hale. He’s got this one locked up. Since I have some space tonight, a quick word about having awareness of the situation. 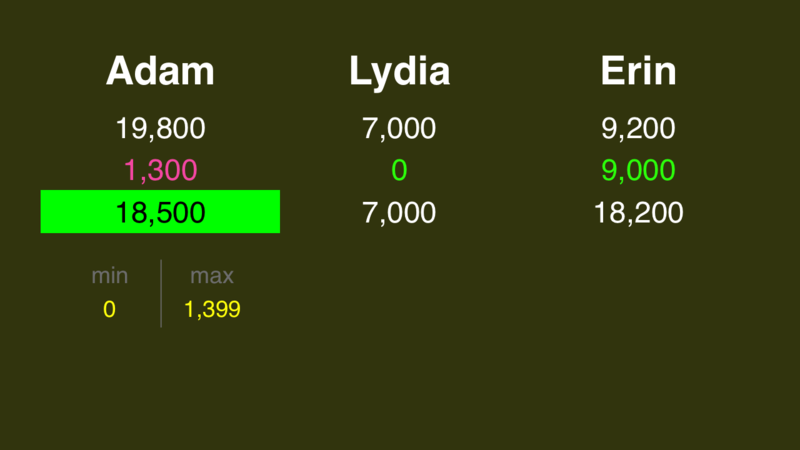 Lydia, I think, recognized this, and took a stab. 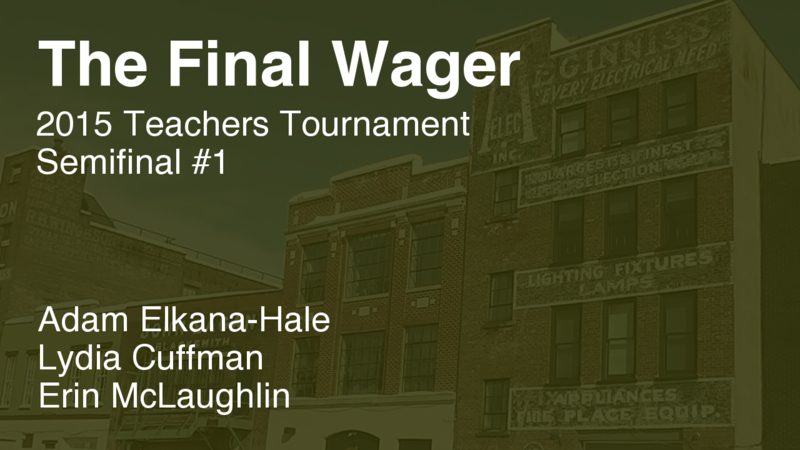 Erin sat on her buzzer and let time expire – along with any chance of advancing. I know it’s tough to give an incorrect response on national television, and perhaps Erin wasn’t aware she needed a correct question to make the math work. But you have to guess there. If you’re wrong, you can do no worse than you would have otherwise. 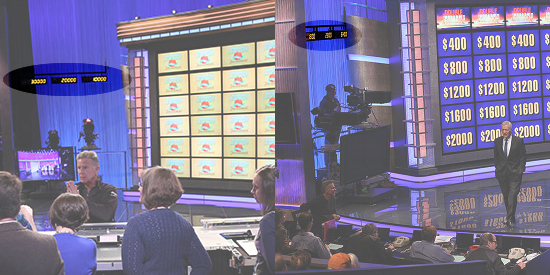 The contestants can see their scores on a display to the left of the game board. Sometimes you’ll see them stealing glances in that direction (to the right on your screen) after picking a clue. in the last 10-15 clues of Double Jeopardy!